Event description International 3-day competition on individual basis, world ranking. More information on the website. 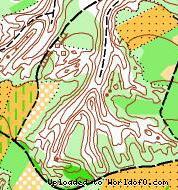 Terrain description Classic distances: Hilly terrain cut with deep ravines with various vegetation. Sprint: Urban terrain including the oldest parts of XIVth century Kazimierz Dolny.